The cargo ship Rena struck the Astrolabe Reef about 6 nautical miles north of Motiti Island around 2.20am on Wednesday 5th October 2011. We used this page to keep our guests updated with extracts from all the information we were receiving. We were fortunate that the beach across the road from Cosy Corner had only a small amount of oil. This was washed ashore in high seas on Tuesday 11th October 2011. By Wednesday afternoon an oil response clean up team had removed all the oil and there was very little since. We have photos of Omanu beach on our Facebook page in our Rena Album. A giant milestone has been reached in the battle to protect the Bay's environment from oil leaking out of the Rena. Maritime New Zealand has announced that the oil pollution threat from the wreck is now so low that it has scaled down the emergency and handed over responsibility to the Bay of Plenty Regional Council. National on-scene commander Rob Service said reducing the oil spill response from a national to regional level was a milestone and testimony to months of hard work. "This has been an amazing effort," he said. The decision to downgrade the Rena from a national level oil emergency was taken after the wreck was assessed as having a minimal oil spill threat, leaving the regional council as the agency responsible for monitoring spills and future clean-ups. Mr Service said oil levels in previously affected areas were now so low that clean-ups were not warranted. Public sightings of oil in recent months had been consistently low. The previously massive effort had been scaled down to the point where only a few oil spill response teams were still surveying affected areas. He emphasised the response had been scaled down, not stopped. "It is a real achievement to reach this point." At the height of the crisis, international experts were assisting Maritime NZ to cope with the oil spilling out of the Rena. Many local volunteers cleaned up the beaches they loved, helped by hundreds of army personnel. Iwi and other local councils also played significant roles in the clean-up. Dive operations to remove smaller pieces of debris and cargo have been undertaken. Divers are cutting into parts of the submerged stern section to gain access to containers for removal. With the latest recovery efforts, the total number of containers received ashore from Rena is 762 – this is made up of 661 removed from the decks and holds of Rena, and another 101 retrieved from the extended area around the wreck, and the shoreline. Surveys by oil spill response personnel of areas previously affected by oil have continued this week. Small amounts of residual oil have been observed in some areas between Mt Maunganui and Papamoa. These have not required clean-up operations but the sites will continue to be monitored by survey teams. Seven little blue penguins returned to their natural habitat atMotiti Island today, completing the last major release into the wild of birdscared for after being oiled by the Rena disaster. National Oiled Wildlife Response Team coordinator Kerri Morgan saysthe event is expected to be the last release of multiple birds rescued andtreated for oiling. “We still have two birds in care at Massey – one has an injury and the otheris going through its moult. “Over the past month our field teams have picked up only five oiled birds,despite regularly scouring the affected areas and also following up on reportsfrom the public to the 0800 333 771 oiled wildlife line. Kerri says it had been hard work, particularly at the height of the responsewhen the sheer numbers of sick and dead birds being collected was at timesoverwhelming. A total of 2299 dead birds were collected during the response, 1443 of whichwere oiled. Containers have been removed from the sunken stern of the Rena for the first time since the ship snapped, after a weekend in which containers were recovered from several parts of the vessel. Salvors have expanded their container recovery operation, retrieving cargo from the bow as well as the stern section. To date, Braemar Howells have received 491 containers from Rena, and recovered another 70 from the sea and beaches. A further 17 have been located, but not yet recovered. This brings the total either recovered or located to 578. About 250 containers are estimated to be below decks in the forward section of the wreck. However, because of the significant damage to the vessel and to the remaining containers, it is impossible to gain an accurate count of how many remain on board the aft section or elsewhere. 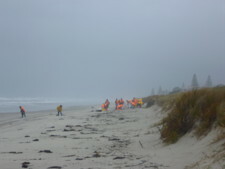 Shoreline clean-up assessment teams continue to monitor all beaches between Matakana and Maketu. Detailed surveys were undertaken during the weekend at the Mount and Maketu and have identified the amount of remaining work. Teams continue working at Mt Maunganui and Leisure Island where oil trapped in gullies is proving slow to recover. Massey University is still looking after 25 penguins caught up in the Rena oil spill, with the stay for many extended because of the season. The little blue penguins moult their feathers during January and so cannot be returned to the wild until that process is complete. However, there are about nine birds ready for release back to the Bay of Plenty once they pass waterproofing and health tests. The university-led National Oiled Wildlife Response Team has decommissioned its facility at Te Maunga in Tauranga, although some specialist equipment will remain there in the event that the centre needs to be rebuilt. The response team rehabilitated more than 400 birds caught up in the oil spill from the ship that ran aground on Astrolabe Reef. 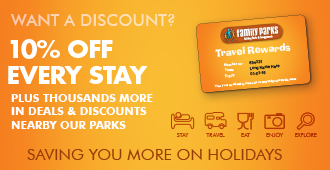 Our beaches remain open and were enjoyed by thousands of people over the summer holidays. Rena is split in two with a 20-30m gap between the pieces - both of which are still on the Astrolabe Reef. Maritime New Zealand is reporting the stern section of the vessel has broken away and is moving significantly. The forward section remains in place on the reef where the ship grounded on October 5. Rena seperated overnight during a storm which battered the once 236m container ship with 6m swells. More containers fell into the sea during the storm, but it is not known how many. MNZ may extend its three nautical mile exclusion zone. A response team has been activated to handle the potential release ofoil from the broken vessel and is on standby to treat any affectedwildlife. Weather conditions continue to be poor with storms forecast for the next 3-4 days. • A total of 24 containers were removed from the Rena yesterday. This brings the total number of containers removed from Rena by Svitzer to 243. • There has been no change to the status of the vessel, confirmed by diving surveys. • All operations, including warm water rock washing and rock scraping at Mauāo, will continue today. A small team will check the area between Leisure Island and Tay Street on foot. Kulim Park’s rock wall will be reassembled after being taken apart and cleaned yesterday. The beach groomer will be operating at Ōmanu and Pāpāmoa East today, targeting the areas in front of the surf clubs and the main Mount beach. Teams are also on Mōtītī and Matakana Islands. 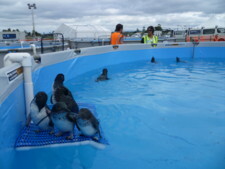 • Three penguins were released at Leisure Island this morning, leaving 40 birds still in captivity. A check of Rabbit Island last night found no new oiled birds. Thirty more little blue penguins were released on Mt Maunganui main beach today as about 200 spectators urged them on in the race from their small plastic carrier boxes and back into the big wide world. For 29 of the wee sea birds the transition to freedom went swimmingly - boxes opened, grouped together to gain their bearings, then huddled quickly away into the sea. But the getaway didn't quite go to plan for one lonely penguin. "He got confused. He missed the initial rush and then his mates were gone. He just didn't come out of the box with the others. There's always one who doesn't listen to instructions...he'll catch up with them," oiled wildlife centre chief Brett Gartrell said. The penguin was so confused Dr Gartrell had to carry him to the edge of the water, before he and wildlife centre co-ordinator Kerri Morgan corralled the stray bird out to sea. The other penguins waited for the stray one. "He just got stuck in the box. He was probably absolutely petrified," Ms Morgan said. One hundred and forty five penguins have now been released, although today's batch was only the second time the releases had been available to the public. There are 199 of the wee sea birds left in captivity. 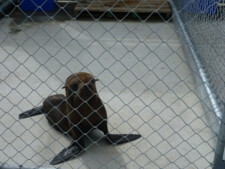 Oiled Wildlife Centre co-ordinator Kerri Morgan said there would likely be one more release event open to the public. "We'll probably do the last release for the Mount as a public one," she said. The massive crane barge Smit Borneo should be removing containers from Rena by the week's end. After a 27-day journey from Singapore, the barge sailed safely into Tauranga Harbour yesterday and is expected to boost the salvage operation. Maritime New Zealand salvage adviser Jon Walker said the pedestal crane on board the 110-metre vessel had a 54m reach, making it capable of removing containers the smaller Sea Tow 60 barge crane could not.The Smit Borneo has a large accommodation block on board, capable of housing up to 152 people. "The salvors will be using this accommodation to increase the time that they can spend on site," Mr Walker said. 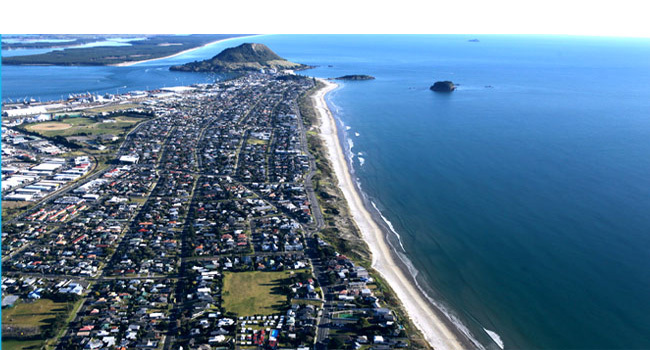 Beach access restrictions will officially be lifted between Mount Maunganui and Maketū Estuary from 6am tomorrow (Wednesday 16 November). However, the Rena spill clean-up effort is by no means over, Maritime New Zealand (MNZ) says. National On Scene Commander Mick Courtnell said the efforts of volunteers and clean-up teams had allowed most operational restrictions to be lifted, but restrictions remained in place east of Harrison’s Cut to Alexandra Place, and at Maketu Spit. “High-energy clean-ups will continue in the worst affected areas and these will be well marked by orange tape and cones,” Mr Courtnell said. At the Wildlife Response Centre, just two birds in care are yet to be washed and the collection of freshly oiled birds is slowing down. National Oiled Wildlife Response Team Coordinator Helen McConnell said birds would not be released until they are deemed fit and healthy, and the environment is safe for them to return to. “We’re checking the birds to ensure their waterproofing has been restored and that their blood parameters are normal. We’re also working closely with clean-up teams to identify the best habitats for our little blue penguins when we are ready to release them,” Ms McConnell said. Tomorrow the salvage operation on board the wreck of the cargo ship Rena will shift from pumping off oil to removing containers. Transport Minister Steven Joyce today told media removing containers from the Rena will take months. About 1300 containers are on ship and it is estimated a maximum of six containers will be able to be moved a day. "While there is still a long, hard road ahead, the first priority has always been the safe removal of oil from the Rena and it is a huge relief to everyone involved that that has largely now occurred," he said. The shipping company that owns Rena has been told they must remove the vessel once work is complete, however it was still possible the ship could split up, said Joyce. Salvage teams are taking advantage of good weather in Tauranga today and continuing to progress with preparation work on transferring oil from the submerged starboard tank on board Rena, Maritime New Zealand (MNZ) says. 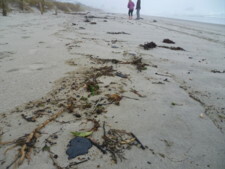 Mr Berry said reports of oil in the water at Mount Maunganui yesterday had been followed up this morning by sending shoreline clean up assessment teams to the beach. A small amount of oil was found at the high tide mark near Leisure Island. This was likely to be the result of the storm on Tuesday night, which has remobilised old oil submerged in the water or buried in the sand. Mr Berry said there was still residual oil in the water and in the sand. National Oiled Wildlife Response Team coordinator Helen McConnell said nearly all of the 406 animals in care at the wildlife centre had now been cleaned. Many of the oiled animals collected by field staff are dehydrated or hypothermic when they are picked up, and must be stabilised before being cleaned, Ms McConnell said. “We have to make sure they are hydrated and strong enough to withstand the cleaning process, which is quite a traumatic experience for wild animals. The salvage team monitoring the effect of high sea swells on the grounded cargo vessel Rena has confirmed further damage to the hull overnight. There is an estimated 350 tonnes of oil remaining in the starboard tank, which is currently intact. National On Scene Commander Mick Courtnell said the oil spill response team remained in rapid response mode to mobilise when required. A group of volunteers is also on alert and ready to assist. “It has been an extraordinary effort to get as far as we have and remove over 1,000 tonnes of heavy fuel oil from the ship, but we have always been at the mercy of the weather. The possibility of the ship breaking up has always been on the cards. Latest modelling for the 5 – 10 tonnes of oil spilt from the Rena on Saturday shows the slick remains around the vessel rather than heading towards Tuhua/Mayor Island or Whangamata. National On Scene Commander Nick Quinn said a forward operations base would remain at Whangamata and a wildlife team would still be based on Tuhua/Mayor Island. 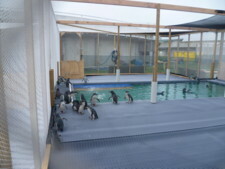 Meanwhile five penguin enclosures at the Wildlife Response Centre have been completed, and five more are being constructed. Alternate Wildlife Response Centre Manager Curt Clumpner said they will house the birds until it is safe for them to be released into the environment. “The penguins are taking to the enclosures like, well, penguins to water. They’ve got pools to swim in and can socialise with the others now they are cleaned and healthy, instead of staying in enclosures and only being able to swim for a short time each day. There are 388 live birds being cared for at the centre. Salvage Unit Manager Kenny Crawford said the 25-tonne port service tank had been emptied and almost all of the 770 tonnes from the port number five tank had been removed. More than half of the oil from one of the two settling tanks in the engine room has been pumped into the barge Awanuia, bringing the total oil removed from the Rena to 882 tonnes. 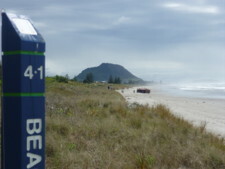 The Main Mt Manganui Beach down to Tay St still remains open this weekend, but other local beaches remain closed for the time being, as old oil continued to remobilise in the environment and come ashore. The wildlife response to the Rena oil spill has been praised as one of the quickest in the world, thanks to excellent foresight and planning systems. There are 385 animals in the wildlife centre, with three more little blue penguins arriving yesterday. Long term penguin enclosures are being built to house the birds until it is safe to release them into the wild. Seven international experts are working at the wildlife centre. Alternate Wildlife Centre Manager Curt Clumpier, who has worked on numerous oil spills since the Exxon Valdez Alaska disaster, says New Zealand’s response is one of the quickest he has seen. “The speed of response in New Zealand is among the top two or three countries in the world,” says Mr Clumpner, an American from International Bird Rescue. “The wildlife response centre was set up and ready to clean birds within a day of the grounding. That’s incredibly quick compared to other spills I’ve been involved in. At the press conference this afternoon, MNZ Salvage Unit Manager Bruce Anderson confirmed that as at 12pm today (Wednesday 26 October), a total of 737 tonnes of oil had been removed from the port number 5 tank. This tank originally held 772 tonnes. Note this figure is the amount pumped off in total since pumping operations began. The amount takes some technical calculation to confirm and it is updated daily. Volunteers who have helped clean up Bay of Plenty beaches over the past 10 days have shown incredible support for the oil spill response effort, National On Scene Commander Rob Service says.More than 6,700 volunteers have registered to help with the clean-up. The team yesterday marked a milestone, participating in its 50th clean-up event since the volunteer effort was launched on 14 October. Mr Service said the response from volunteers demonstrated the passion the community felt for their region. “Thank you to all the volunteers who have helped clean the beaches. Your determination and efforts are greatly appreciated,” Mr Service said. On Mount Maunganui beach today, Phil Keoghan from the television show The Amazing Race pitched in with a volunteer clean-up crew. Mr Keoghan was welcomed on to the beach by local iwi and the Mayor of Tauranga, Stuart Crosby. He was given protective gear and training before heading out to the clean-up area where he worked alongside the volunteers sifting and skimming the sand for oil globules. Mr Keoghan said volunteers’ efforts were incredible and praised the way the community had rallied together. “The number of volunteers wanting to help is overwhelming and so is the effort they are putting in to clean the beaches. Another group of people also doing an important role is the Rena salvage team as they are out there in risky conditions working to get the oil off the ship,” he said. Papamoa volunteer Jan Parks, said the volunteer programme had been well organised. “It’s great to be notified by text or email of an opportunity to help clean up the beach. It’s heartening to see that 6,000 people have registered as volunteers and are keen to lend a hand. The public meetings have been very informative,” said Mrs Parks. Mr Service said on-water recovery vessels and an observation aircraft headed to Rena this morning at low tide in case any fresh oil leaked from the ship. They confirmed no fresh oil released today. The oil spilled on Saturday night was currently remaining around Rena. Trajectory modelling was changeable and Mr Service said the response team would also use regular observation flights and on-water surveillance to track the movement of the oil. Mr Service said early trajectory modelling indicated oil could reach Tūhua/Mayor Island and a wildlife team had gone to the island this afternoon to meet iwi and assess what wildlife could be affected, should oil reach the shoreline. 23 Oct 2011 - Today we achieved our 50th event! A huge thank you to everyone who has given their time to help us reach this significant Operation Beach Clean milestone. A total of 2,500 volunteers have now contributed over 6,000 hours. Well done! This is huge and sincerely appreciated. Mr Quinn said the oil spill response team was prepared for a long clean-up process. There have been offers to the oil spill response team of heavy equipment to assist the clean-up operation, however Mr Quinn said experience had proven this could push oil into the sand and cause further damage to the environment. Mr Quinn reminded members of the public to stay away from the beaches unless they had already registered as volunteers. This was to protect public safety, and also to allow clean-up crews to get on with the job at hand. The heaviest concentration of oil coming onto the beach has been at Papamoa. The effectiveness of the Corexit 9500 dispersant has been shown as insufficient to justify aerial application to the spilled oil. We have consequently ended the aerial application trials and will continue to assess all response options. There are two skimmer barges working in the harbour to pick up flotsam and another two will be in operation tomorrow to collect oil. A salvage inspection team was winched aboard the Rena this morning to check the damage to the vessel and assess whether its power systems were still intact. The priority was to make sure the vessel was safe to be boarded. The team has assessed the vessel as safe to operate from. The hoses used to transfer the oil from ship to ship are reportedly largely undamaged and the pumps have no major damage. However, the vessels auxiliary power system is probably not operable. The vessel is now on a list of about 22 degrees to starboard. The aft of the vessel remains free floating at high tide while the bow is pinned on the reef. There is a large spilt in the port and starboard hull. There are helicopters, rigid inflatable boats, tugs and Navy ships all standing by to assist the salvage operation. It is estimated that about 350 tonnes of oil has leaked from the Rena. 88 containers have been reported as fallen from the ship – 20 have come ashore. One container of dangerous goods containing Alkylsuphonic liquid (UN2586), which is water soluble, has been lost from the ship. It is not considered a significant health risk. It may cause some localised effects to the seabed – we will be monitoring this. Please note earlier reports today that the container held Ferrosilicon were incorrect. However, our information is that if the Ferrosilican on board the vessel comes into contact with water we would see significant quantities of gas released in a short period of time. At this time, salvage company Svitzer is responsible for collecting the containers in the water. The New Zealand Police and the Fire Service are assisting in managing the containers that have reached the shoreline. A company which specialises in overboard container management will take over once plans have been approved. Members of the public should not touch containers that reach the shore, or any of the goods that have come free from the containers. Members of the public should please report container sightings with exact location details, to 0800 OIL SPILL. Mr Quinn said it was heart wrenching to see the state of some of the birds coming into the centre. “The mortality rates are starting to increase and there are several hundred dead birds yet to be collected by the wildlife teams who are working methodically to deal with the oiled birds coming in,” Mr Quinn said. The team had also been pre-emptively catching rare New Zealand dotterels, which would be resettled in a special area in the wildlife facility. There are now about 70 birds, four seals and 13 dotterels in the centre.500 dead birds have been recovered.